Only one more day to finish my Mysterium piece and these were my fingers last night! OMG Margaret – what have you done?! They look almost burnt. 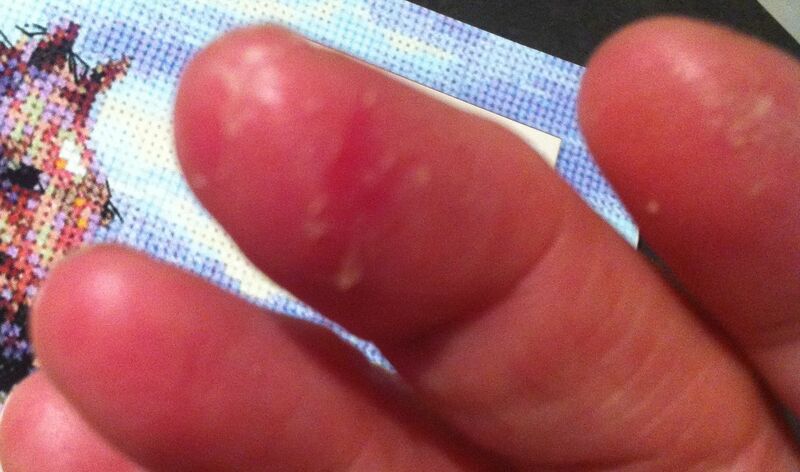 Are they blisters and needlepricks – I hope it’s just glue! Handcream with Vitamin E overnight will help – whatever you’ve done.